What is the specific intention of the chosen learning programme? What is the best implementation route for the learning programme? What is the impact of the learning programme? Against these measures, our learners thrive in an environment of high expectation. Westbridge Academy aims to deliver a broad, balanced and exciting curriculum to all of its learners. 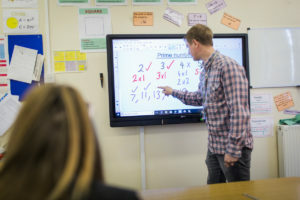 The curriculum offers an element of choice underpinned by a strong core consisting of English, Maths, Science, ICT, Art and Design and PHSE alongside sports and activities. The offer enables students to develop behaviours that support learning as well as addressing academic, social and emotional needs. 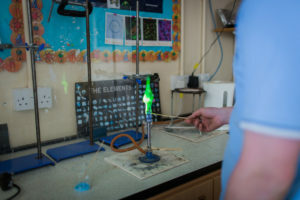 Most courses are offered at GCSE or equivalent level. Where appropriate, a small number of pupils will have access to Entry Level Certificates (ELC), or vocational based qualifications. Additionally, a supportive transition programme prepares students for Post 16 choices. A counsellor and mentor is available to support pupils as need dictates. Social, Moral, Spiritual and Cultural Education is an important part of our teaching and themes are woven through the curriculum. Sessions include moral and ethical decision and discussion, and visits to local religious centres and fund raising activities are included in this area. Ms Angela Ransby is the CEO. Please contact her for more information.